1. Who are the ‘Light forces’? The planetary shift is happening. Many are expecting a ‘full’ disclosure. Many sources over the Internet keep on insisting that the energetic shift will happen when there are enough people awakening and being aware. No doubt this is true, for it is written in the core of each soul on this planet, including you and me. You can feel it. Once there are enough ‘awake and aware’ people, then we will get the Shift. But ‘awake and aware’ of what? Awake and aware of the truth that we are stuck in the current global system only from a 3rd dimensional perspective, BUT we are NOT the victims. From a broader (not higher) 5th dimensional perspective, we are not the victims of any beings on Earth, off-world, or any beings belonging to this entire Creation. We humans are part of the creation and we are the co-creators. Awake and aware of the truth that we humans are streams of energy. Our blood, flesh, and bones are merely energy. 99.9999% of the atoms that make up our bodies are space. We are all made of the same energy, including plants, animals, objects, negative and positive beings from other planets, the entire Universe, and Creation. We are all energetically equal. There has been scientific research and projects shedding light on these truths (refer to the References). You do not need these outer sources to feel the truths – you can feel it from the core of your being – within your heart and soul. However, these scientific projects are present. Awake and aware of the truth that only a fraction of our souls incarnated here on Earth. We have countless multiverses where a fraction of our souls also incarnate there on planets. A major part of our souls always stay with Source. This part is called our Higher-Self, Eternal-Self, Ascended-Master-souls or whatever we humans like to name it. (I personally prefer Eternal-soul, for hierarchy and ‘higher’ are human-invented from our own subjective perspective. In reality, all are equal.) The proportion of a soul that stays at Source is always much greater than those who incarnated on Earth and/or other planets. And therefore, you see, our souls never really ‘die’. WE humans are the Light forces. The soul part of ours that is totally Light is the Light force. Awake and aware of the truth that our positive thoughts, feelings, and visualizations are more powerful than we may humanly think. On other planets, what they have referred to as ‘advanced technologies’ or ‘magic’ is the ability to manifest their thoughts and intentions into their ‘physical’ reality instantly. Our human visual range is limited and we sometimes cannot see our energetic manifestation with our human eyes. But more often, you can feel your manifestation, the energy is there and it is manifested. We do have the ability to manifest our reality with our feelings, thoughts and visualizations. ‘As within, so without. As above, so below.’ These are Universal truths or ‘laws’. As you change within and experience the energetic shift from within yourself, the shift in the outer world will be brought in. These truths are written in your soul cores. We were all once put under amnesia. None of our souls who incarnated on Earth is immune. Some of us can ‘remember’ or feel these truths more than others. But we all can feel the truth with our human hearts and souls. They are your truths and also the Universal Truths, for you are Source itself experiencing life on Earth and other planets. 2. Guess who is going to bring this planetary shift in? Didn’t they tell you many times that ‘when enough people are awake, the shift will be brought in or any sort of ‘Event’ will be triggered’? As more people awaken to their truths / Universal truths, the planetary energy will shift, in accordance with the Universal Laws. This shifted energy will, in turn, awaken more people on OUR planet. The Earth is our planet. We are all DIRECTLY doing the hard work from our inner soul cores to bring it to the next positive phase. No other beings are directly doing OUR work for us except other Eternal-self, and/or so-called ‘ascended-master’ fractions of our souls. It’s Us, HUMANS. It’s Us. We are not the victims. We are not the victims of any ‘higher forces’, from the broadest dimensional level or perspective. And if clearing the minds, going deep within ourselves and visualizing positive shifts and events (visualization meditation) are what make some of us feel as victims or ‘powerless’, then these people themselves are devaluing their own powerful thoughts and feelings (energy), their human potential, and their-whole-being. In other words, it indicates that they are disconnected from themselves – their thoughts, feelings, intuition, ability to discern, and their Eternal-Selves. No one can devalue us by doing their jobs, going through their chosen experience, and living their own lives – completing the roles they came here to play. It’s all a matter of human perspective or thought pattern. It is not real. ‘Love’ / Peace – this Source energy is the only real, from the broadest perspective. No one is immune from self-victimization or illusive competition on Earth, including myself; for we all have human bodies. All we need is to realize that this kind of thought pattern is there, acknowledge it, go within ourselves and ‘shift’ or change it to a positive outcome. The shift within ourselves will bring forth the planetary shift. You may think it’s too simple to be true, but for those who think that bringing a shift from within yourself is simple, you may need a reality check. We need to shed layer after layer of our whole beings, acknowledge our shadows and darkness, negative energies from life traumas and negative events, shift them, and clear and cleanse ourselves from the inside out. In Genome energy healing that I have been practicing, we went deep within ourselves, to the level of our first-born cell to clear out any negative or defective DNA / information. We experienced the energetic shifts within ourselves emotionally, mentally, physically, and spiritually – we could feel these shifts clearly in our bodies, and… it is not mentally and emotionally easy like some may think. It is hard work. We all had problems and negativity in relation to our health and personal lives, but our intention to shift these problems or negative energies into positive needed to be stronger, in order to experience the shift. We cannot shift our negative energy into positive and energetically bring ourselves to a balanced state of being by staying attached to our victim roles, and without stepping into the co-creator role of our own world. 3. What is going to happen after the planetary shift? There are sources over the Internet telling us that when the planetary energetic shift comes, certain things will happen in certain directions, accordingly. Remember that humans are the ones who steer the wheel and are in control of our world and our lives. We are the co-creators and EXACTLY what is going to happen is not set in stone. You are not going to get a certain amount of monetary distribution equal to such and such after the energetic shift, just because some blog authors are telling you so. The Shift is Energy. It flows. And it will just BE. It will be a positive shift because we are advancing “up” the evolutionary scale, toward Source where only Love or Light exist as all darkness is transformed into Light before it reaches Source. However, to what extent will it be positive is dependent on how we are going to use the energy of the planetary shift. 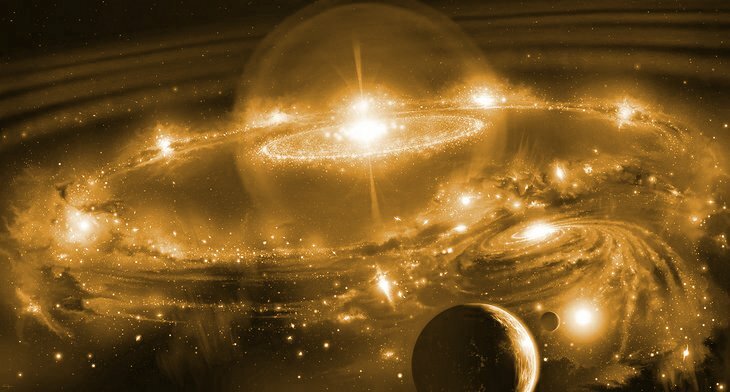 They have told you that some ‘higher forces’ off this planet are supporting some certain ‘world leaders’, and therefore things will happen in certain directions, as abundance or any form of money such as gold will be distributed in a certain way, after the shift. They forgot to tell you the very truth that some ‘higher forces’ further off this planet are supporting YOU, too – the human beings who are reading this. Those ‘higher forces’ are the major proportion of your soul that is not incarnated here on Earth – your Eternal-Self. Yourself. You ARE supported, Directly, and by YOU, whether you like to hear this or not. I was born with everything within me and so were you, to bring this planetary shift in and to change our lives to the greatest positivity. Being an awake and aware human who is connected and at One with other broader aspects of my soul is ENOUGH to let the Truths to be heard by other people’s hearts and souls. My whole being – awake and aware, and my positive intention and thought pattern, are ENOUGH to bring the shift in for us, together with others being at approximately the same vibration. The entire Creation – the Universe history, present and future are written in the core of your souls. You can feel it. You must not hesitate to feel and visualize a little ‘broader’ (*), to a life here on Earth, where you hold no offense against the neutral energy of money, but NO (new) monetary system is present. Where money of any shape or form does not exist, only energy exchange; and so, you can be truly free to become whatever your soul loves to be, here on Earth. And so, by doing what you love and being the Love, you will be free to go to wherever you want, after this life-time. Please remember that no amount of gold or dollars, no form of inter-planetary transport or travel means, or any form of ‘advanced technologies‘ will guarantee your freedom to be and to go to wherever you want in the after-life. Throughout Earth history, there have been souls that some of us have called ‘ascended masters’ who achieved their freedom to be without any form of advanced physical technologies. They did it, by being the love. Love is the greatest gift of all that we were all born with. No one is excluded. We just need to return to the love that resides from deep within us, and to be that love. Nothing outer will guarantee you your freedom to be. So what is going to happen after the Shift? If a life of freedom for all where monetary system does not exist and life abundance is co-created with love and in harmony IS YOUR intention and visualization (your energy), this is going to be our positive future after the Planetary Shift / the ‘Event’. Be the love. Then be the shift. This is my gentle reminder to you in preparation for the shift. We are all magnificent and sovereign spirits, and deep down you have already known all that are presented in this article. But having physical human bodies, we all including myself need reminders from time to time. I love doing healing work on myself and others who are in alignment with my soul path and life path, because I love to make a better change myself, with my own ability, strength, and power, and I love to see others stand in their own power and heal themselves. We are all connected. Each healing to others is a healing to ourselves. My websites can be found here. and here.